RapidDisk is an open-source and enhanced Linux RAM drive solution led by BDFL Petros Koutoupis (who also writes for Linux Journal) that allows users to create, resize and remove RAM drives dynamically or map those same RAM drives as a cache to slower data volumes. The latest version 4.0 release adds a series of complementary improvements, such as kernel module optimizations, code cleanup/redesign and bug fixes. RapidDisk consists of a collection of kernel modules, an administration utility, high-availability scripts and a RESTful API for third-party integration. 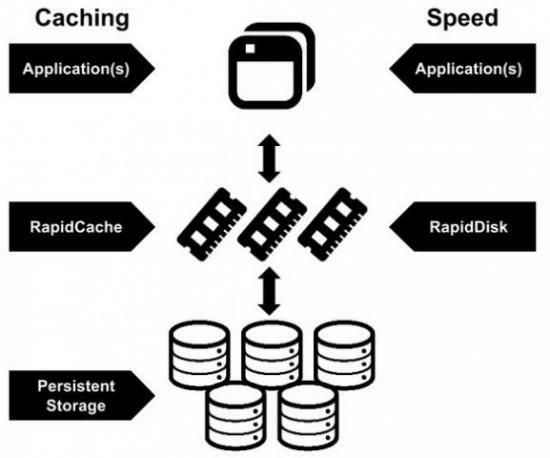 By design, RapidDisk volumes are thinly provisioned and will allocate memory only upon usage.